If you work with any amount of data, data entry and data entry errors are probably two of your least favorite things. Automation can take a lot of data entry off your plate. But even with the right automation tools, data still needs to be entered or managed manually. Unfortunately, data entry takes a low priority in many organizations. Some companies even treat data entry as a nuisance or low value skill. But data entry is one of the most important processes in your business. Every stage of the business process relies on data. If you have bad data, you’re going to have a bad time. The reality is that the vast majority of bad data comes from manual data entry errors. And these errors can have a big impact on your bottom line. So implementing repeatable processes and data validation are vital to improving data entry accuracy and maximizing ROI. 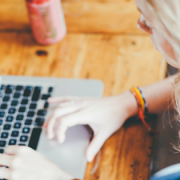 Here’s what you need to know about your data entry process and reducing data entry errors. There are two types of data entry errors: manual data entry mistakes and incorrect data. The source of these errors can be internal or external. However, one generally leads to another. And they can have a cascading effect. Manual data entry errors are typically internal, meaning they’re made by members of the organization. Transcription errors. Usually these are typos, repetition, and deletion. These are most common when people are entering words. It’s easy to mistake an “l” for an “i” while reviewing entries. So these often slip under the radar. The autocorrect feature in word processors can also cause transcription errors. Transposition errors. These are most common when people are entering numerical data. It happens when they type numbers out of order. For example, someone could type 346 2nd Street as an address instead of 364 2nd Street. These are easy mistakes to make, and are tough to spot. These errors come from the data source. People outside your organization—like customers or data suppliers—sometimes make mistakes when they’re handling the data or entering it before they give it to you. Then, even if you enter the data correctly, it’s bad data because it was bad when you got it. Incorrect data is the hardest to deal with, since you have to go back to the source to get it corrected. Incorrect data can also be the most damaging. Once it’s in your database, it can spread through your organization quickly. Multiple departments and teams might end up working with incorrect data before it’s detected. However, there are a few ways to minimize how much incorrect data gets into your databases, which we’ll cover in the next sections. Since manual data entry is unavoidable, it’s vital to have a good process in place. It might be impossible to make yourself completely invulnerable to data entry errors. But you can significantly reduce the risk by following good data entry best practices. Manual data entry is resource intensive and monotonous. So it takes a toll on your teams and takes time away from using the data. Automating as much of your data entry as possible saves time, enables team members to work on tasks that can’t be automated, and minimizes the opportunity for data entry errors. Of course, it’s impossible to remove all manual data entry. But regularly evaluate instances of manual data entry, and see if they can be accomplished with automation. Accuracy is the most important part of data entry. There’s no debate. This means that you need to set reasonable deadlines and avoid over tasking your team. Even if you’ve got tons of data to enter, the focus should be on quality over quantity. So be patient, and ensure that your teams have enough people and time to meet deadlines without rushing through the work. Whenever you need to enter data, always do it the same way. This includes standardizing how your teams go about entering data, and how entries are formatted. Standardization improves accuracy. It builds a repeatable process for people to follow. It’s also necessary for using automation. 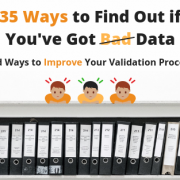 If you need to implement standardization, good data manipulation tools like Excel and Google sheets have functions for cleaning up data formats and separating data into different lists. This way you can retroactively standardize your data. If your teams don’t know how important data is, they won’t handle it as carefully. So take time to provide legitimate education on how your company uses data and how much that data is worth to the organization. This is especially valuable if multiple departments use the same data. It’s easy for a person to underestimate the importance of data when they’re unaware of how much a single piece of information is used outside of their team. Just a little education can go a long way toward getting people to take data entry more seriously. Ensuring that you’ve got valid data to begin with will spare you headaches in the long run. 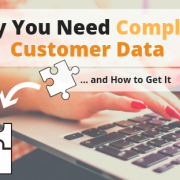 If you get information from customers or data suppliers, validate the data before you load it into your databases. 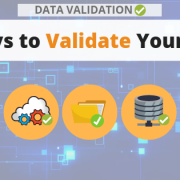 Good data validation tools will detect incomplete or invalid addresses, phone numbers, and email addresses. These tools can also add missing data to incomplete entries. The easiest way to use batch processing is to quarantine data when you receive it. Then upload it for validation, and load the verified results into your database. If you need to segment the data, it’s best to do that after the data has been verified. Data integration means using an API to embed data validation into your data management system. You can use an API to check data in real time as people enter it. Or you can automate the process of screening lists before you upload the data into your database. The method you choose largely depends on how you collect data. Ecommerce businesses may prefer to use an API to embed data validation into their checkout process to prevent customers from moving forward if there’s invalid data in a form field. On the other hand, businesses that get lists from a data supplier may find it easier to use batch processing, since the data comes in preformatted lists that can easily be uploaded for processing. 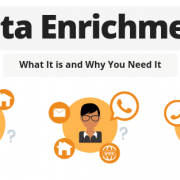 In either case, these methods remove bad data at the point of entry. This is hands down the best way to ensure that you’re working with good data whenever you must do manual data entry. Preventing data entry errors is one of the most important parts of any data management process. 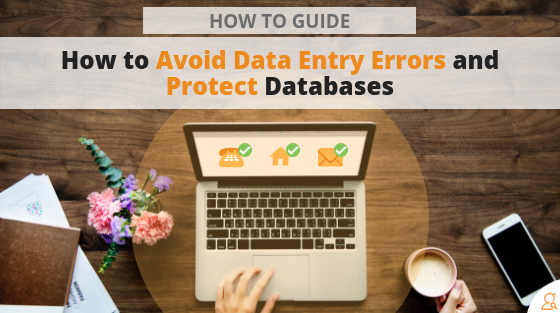 Since data entry errors are the biggest contributors of bad data, managing these errors gives you the most bang for your data management buck. So develop a good process and use good data validation tools to mitigate the effects of external data entry errors. What are your favorite methods for preventing data entry errors? Leave a comment and let us know! Then check out the Searchbug data validation tools to protect yourself from external data entry errors.